KALAMAZOO, MI – The Kalamazoo Wings (36-31-5) will face off against the Cincinnati Cyclones (51-13-8) on Friday night in their best-of-seven first round matchup in the Central Division Semifinals. The Cyclones have made the playoffs in five of their previous seven seasons, while the K-Wings, who missed the postseason last year, have made it in eight of their past 10. The Cyclones were the top team in the ECHL this past season securing the Brapham Cup, which is given to the regular season champion in the league. With their 30 wins on home ice, the Cyclones tied the ECHL record in homes wins and the fewest regulations losses on home ice with two. Cincinnati’s Jesse Schultz led the league in scoring with 80 points (22g-58a) and Michael Houser was tied for the league lead with 29 wins while ranking second with a 2.13 goals-against average and fourth with a .922 save percentage in goal. 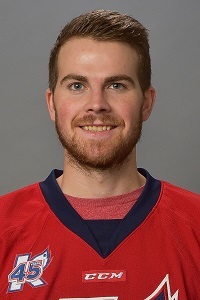 The K-Wings are led by ECHL Rookie of the Year, Chris Collins, who had 65 points (28g-37a) in the regular season and was tied for the overall league lead with six shorthanded goals. The K-wings have lost several players for the season due to injuries, such as forwards Justin Taylor and Tyler Biggs and defenseman, Alekesander Mikulovich. The roster for the K-Wings was bolstered this past week as three players were returned to the K-Wings from the Utica Comets of the AHL. Forwards Reid Gardiner and Kyle Thomas and goaltender Ivan Kulbakov are back in the lineup for the K-Wings. 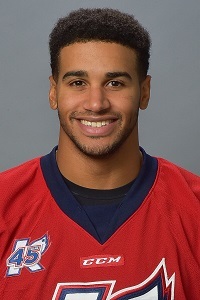 In 41 games with the K-Wings, Thomas scored 15 goals and added 23 assists. Gardiner tallied 26 goals and 27 assists in 36 games with the K-Wings this season. In 16 games with the K-Wings this season, Kulbakov posted a record of 8-5-1-1 with a 2.86 goals against average and a .919 save percentage. It will be a tough battle for the K-Wings. During the regular season, Cincinnati went 9-1-1 against the K-Wings with Kalamazoo going 2-9-0 against the Cyclones. Schultz led the Cyclones against Kalamazoo with 13 points (5g-8a) in the head-to-head series while Collins’ eight points (3g-5a) paced the K-Wings. The K-Wings will host games 3 and 4 on Wednesday and Friday next week, with Game 5 in Kalamazoo, if necessary, on Saturday. Tickets are $10 and are available at Wings Event Center or can be purchased at www.kwings.com.